Our law firm helps victims of work-related car accidents get justice and hold the responsible parties accountable for their negligence. Don't delay. Call 1-800-898-HAYS to tell them you mean business. A work-related car accident may provide benefits to the victim through workers' compensation, which the employer generally must provide. If you have been injured in a work-related car wreck, you may be eligible to receive more than just workers' compensation. See our car accident infographic to get facts about crashes. Some on-the-job car accidents are caused by a party who is not your employer, yourself or your co-worker. With a third-party claim, you may be entitled to compensation for pain and suffering, which workers' comp does not cover. For example, let's say you drive for your job and a drunk driver crashes into your car, causing an injury. You may have grounds to file a lawsuit against that negligent driver in addition to filing a workers' compensation claim. Are you wondering if your accident was caused by a third party? We are here to answer any question you have about your on-the-job car accident. Take back control of your life. 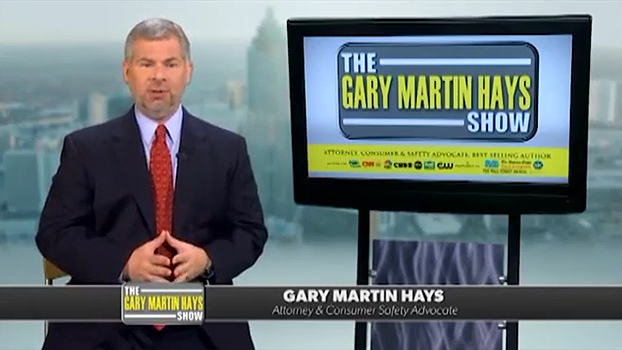 Contact the experienced attorneys at Gary Martin Hays & Associates. The details of your case will remain confidential, and there is no fee for the initial consultation. Let us show you why you shouldn't be intimidated by the insurance companies. You can afford to have the law on your side. Call today: 1-800-898-HAYS. What is My Workers' Compensation Case Worth?